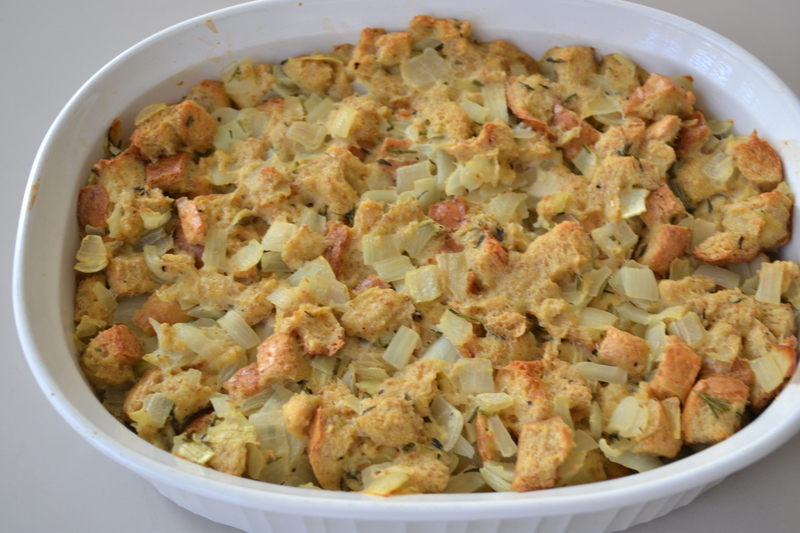 If you’re getting sick of the usual potatoes or rice side dish, try this please. 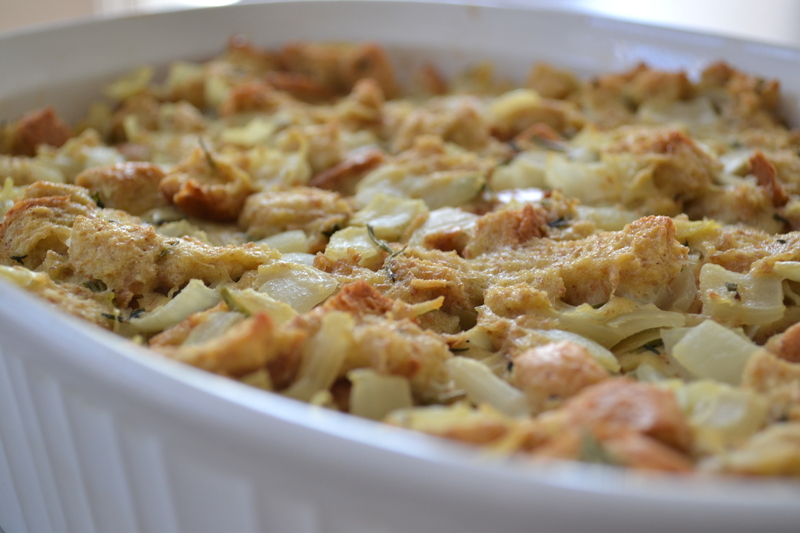 This recipe is one of my favourites from school, but I decided to change it around a bit at home to make it lighter and healthier. 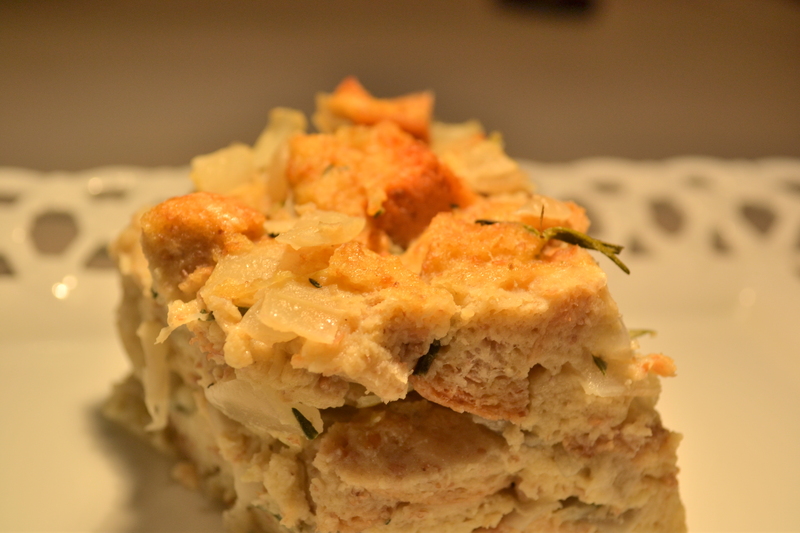 The original used tons of butter – I’m talking Barefoot Contessa style – and I knew my family wouldn’t be happy if I served them bread and butter pudding for dinner. I started by heating the onions in a small bit of oil until they were translucent. 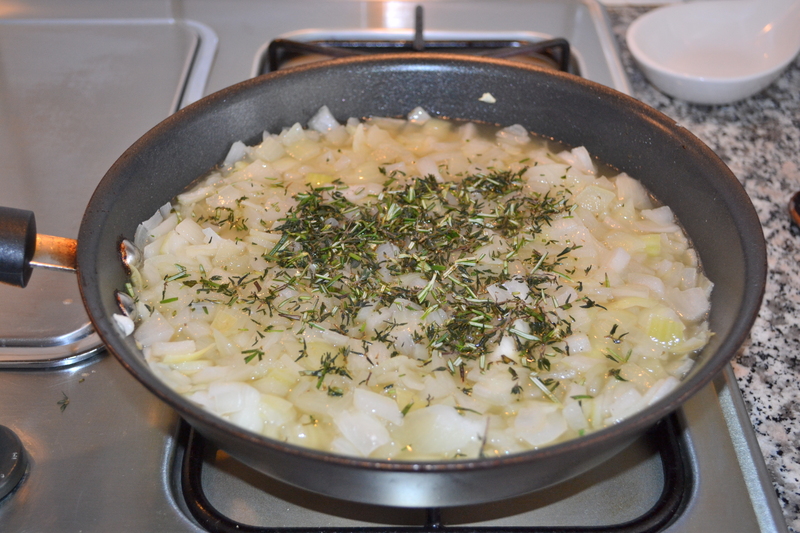 Then I deglazed the pan with chicken stock and added some herbs – chopped thyme and rosemary. I brought this mixture to a boil and removed it from the heat. I gradually added 6 eggs, whisking rapidly – this made the custard. I drizzled a little olive oil on the cubed bread and mixed it into the custard. 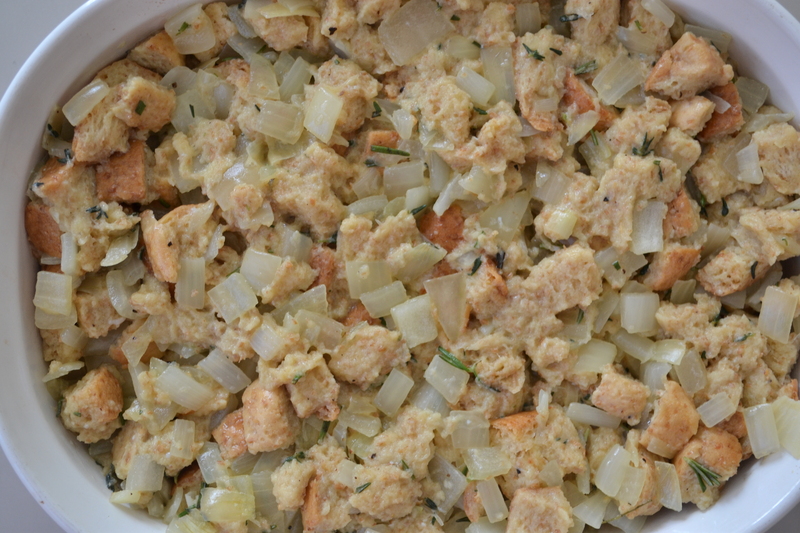 Let this mixture sit for about 10 minutes until the bread absorbs all the liquid – there should be no excess liquid. Then pour mixture into a medium-large sized baking dish. The picture explains this step a lot more easily – this is called a bain marie! Keep an eye on the pudding – it should be done after about 45 minutes – make sure that when you insert a toothpick it comes out clean. 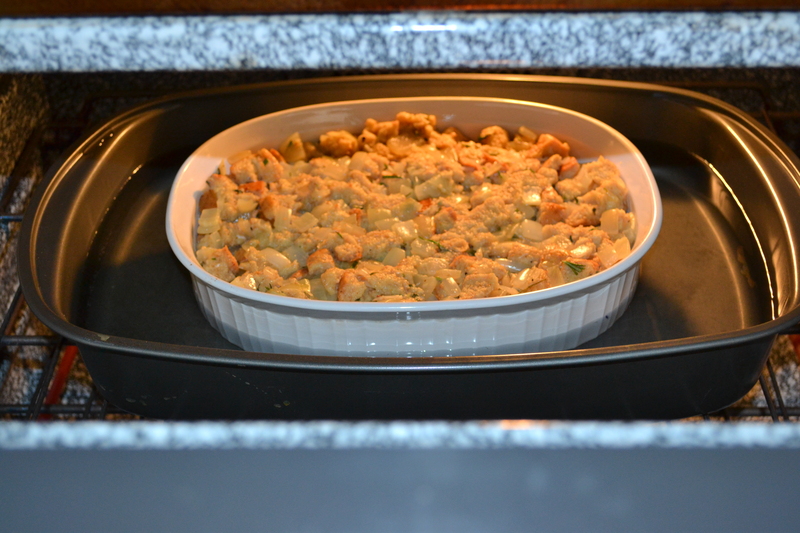 Preheat oven to 325°F and grease medium-large baking dish with Pam spray or oil. 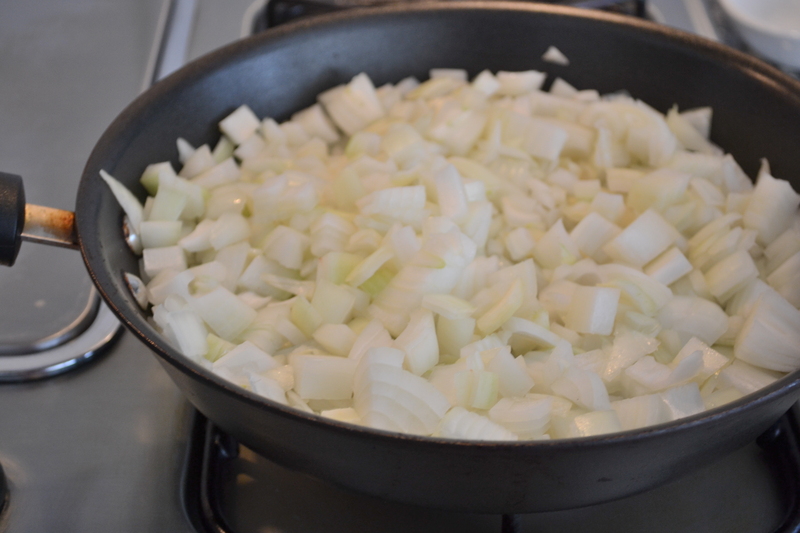 Heat the onions thoroughly in a lightly oiled pan until translucent – do not brown. Add the chicken stock and herbs and bring to a boil. Remove from heat and place in large bowl. 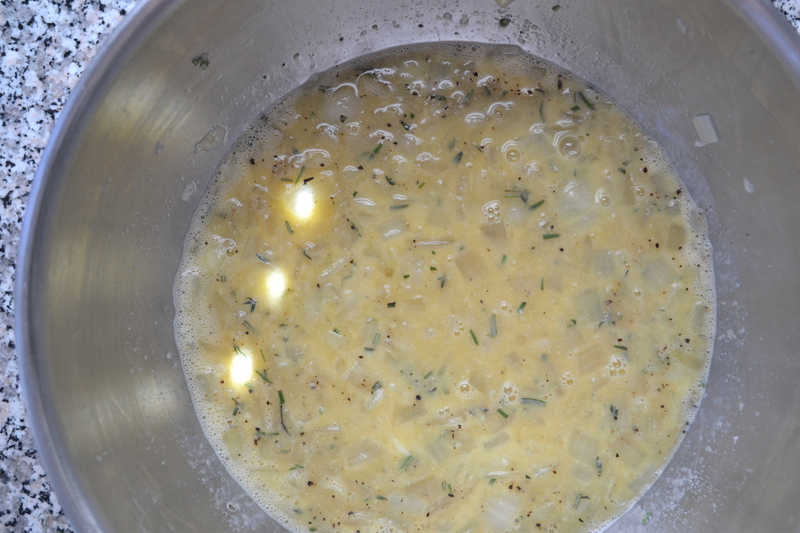 Slowly add the eggs into the onion mixture, whisking rapidly. Season with salt and pepper – this is the custard. 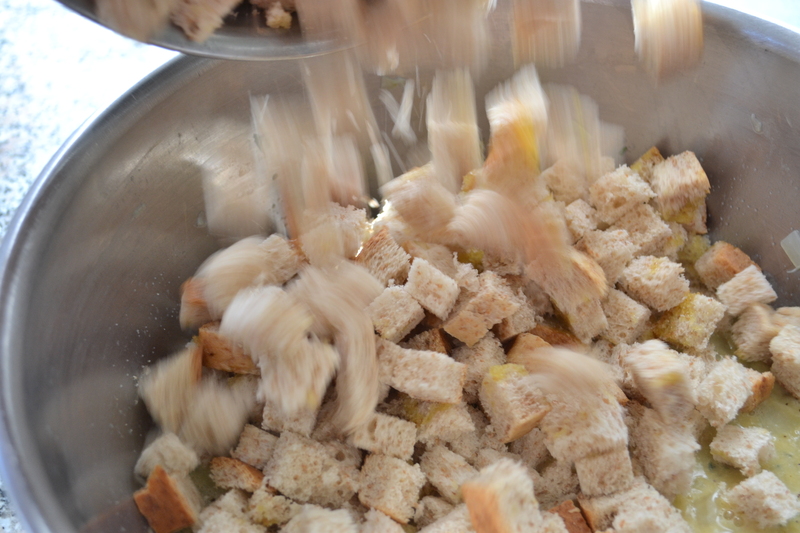 Drizzle the cubed bread with olive oil and add to custard. Allow bread to absorb custard for about 10 minutes. Pour mixture into baking dish and place into large roasting pan. 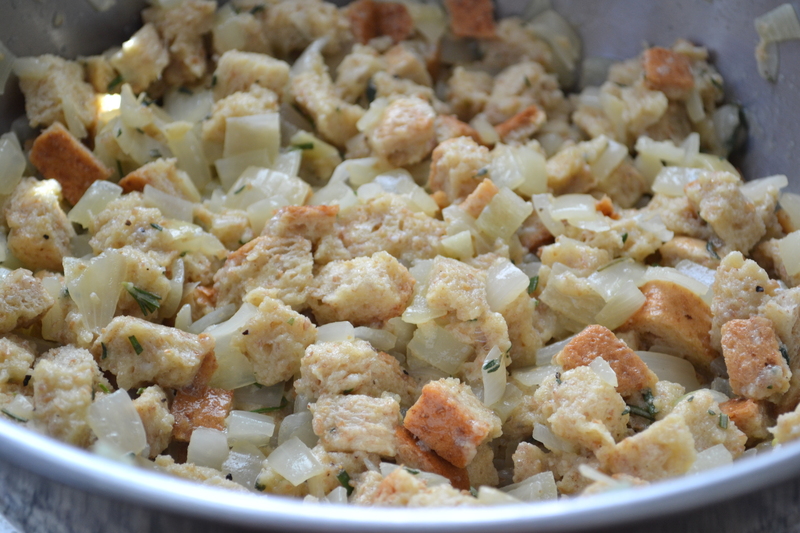 Fill roasting pan with warm water until it reaches halfway up baking dish with bread pudding mixture. This is called a bain marie. Bake for approximately 45 minutes or until toothpick comes out clean. Was this version just as good without all the butter???? In my opinion, yes. It was still very moist at the center and crispy on top. Overall very tasty!